Welcome to My Shopping Tree's eBay Store. My Shopping Tree specializes in quality high end cosmetics and health and beauty products. We carry brands like Too Faced, LipSense by SeneGence, Sephora, Avon, Redken, Urban Decay, Stila and many more. Please add us to your list of favorite sellers. Our goal is to provide you with quality products and exceptional customer service. PIXI By Petra Lustrous Eye Shadow Insurance Primer No. 1 GOLD LUSTRE New in Box! Velana k Lip Plumping Enhancing Lipgloss JULIE New in Box! $20 Retail! Velana k Lip Plumping Enhancing Lipgloss EMILY New in Box! $20 Retail! Velana k Lip Plumping Enhancing Lipgloss BEATRICE, New in Box! $20 Retail! 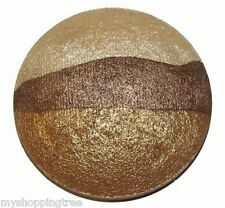 Kat Von D ROCK CANDY Studded Kiss Lipstick Mini YOU PICK YOUR COLOR, New! Hissyfit Finger Feather Professional Makeup Brush YOU PICK YOUR BRUSH, Boxed! 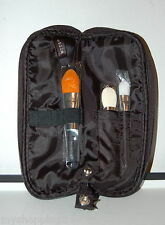 PIXI Eye Bright Kit, No 3 (Tanned/Deep) Flaw Fixer Concealer, NEW IN BOX! Velana k Lip Plumping Enhancing Lipgloss VANESSA New in Box! $20 Retail! Velana k Lip Plumping Enhancing Lipgloss MARY New in Box! $20 Retail! Stila Professional Brow Brush #10 or #18 YOU PICK! Pop Beauty Mini Ribbon Gloss Lip Gloss PEONY PINK, New! Sally Hansen SALON Nail Lacquer Polish YOU PICK YOUR COLOR, New! Avon Ultra Color Lip Crayon YOU PICK YOUR COLOR, New & Sealed! 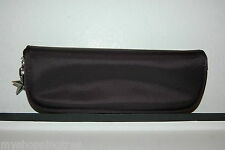 Stila The Student Pouch Makeup Bag, New! Velana k Lip Plumping Enhancing Lipgloss ELLEN New in Box! $20 Retail! LOT OF 2 Pop Beauty Mini Ribbon Gloss Lip Gloss DAISY GLOW, New!